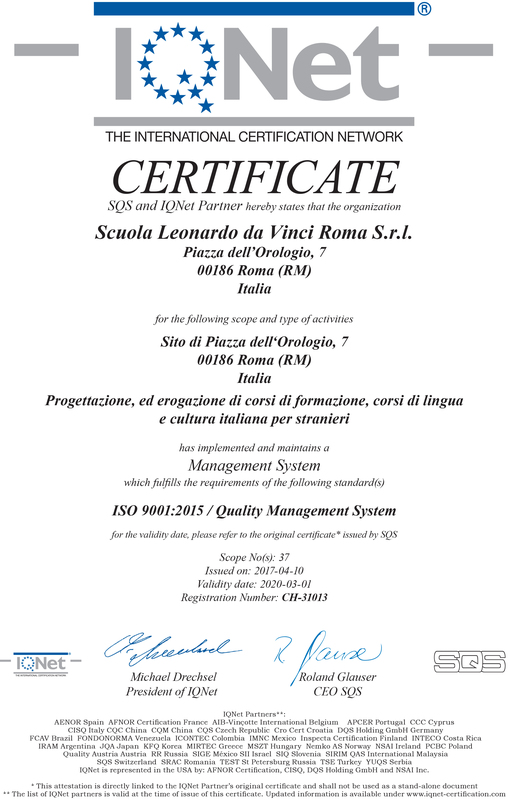 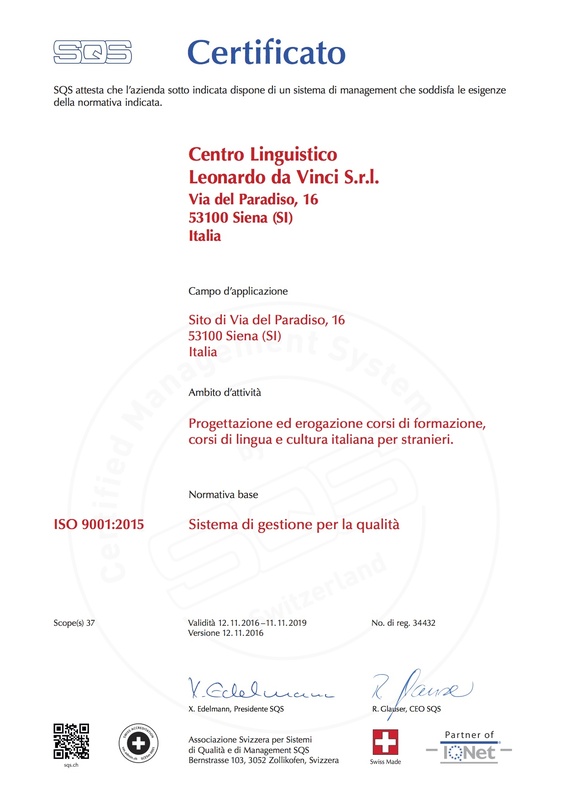 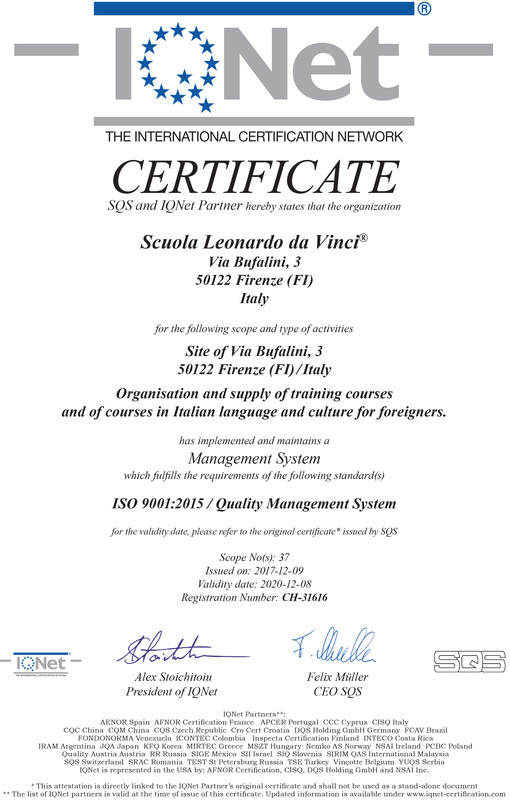 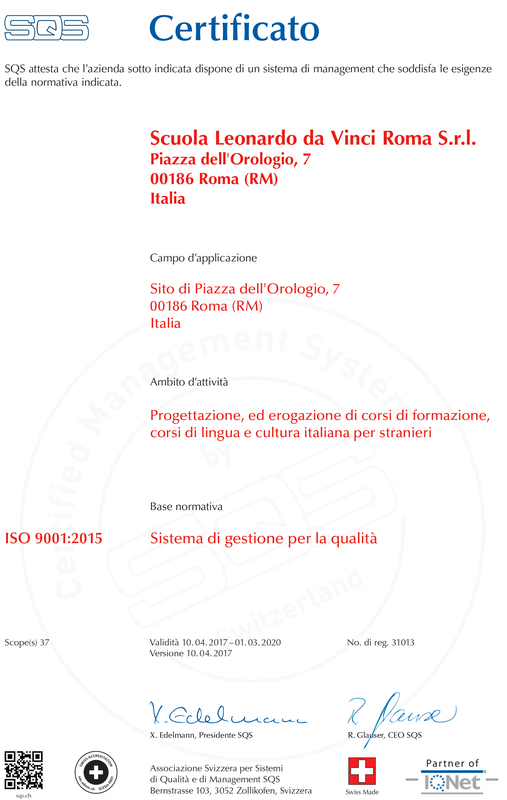 Scuola Leonardo da Vinci is certified to meet ISO 9001:2015, the internationally recognized standard for quality management systems. 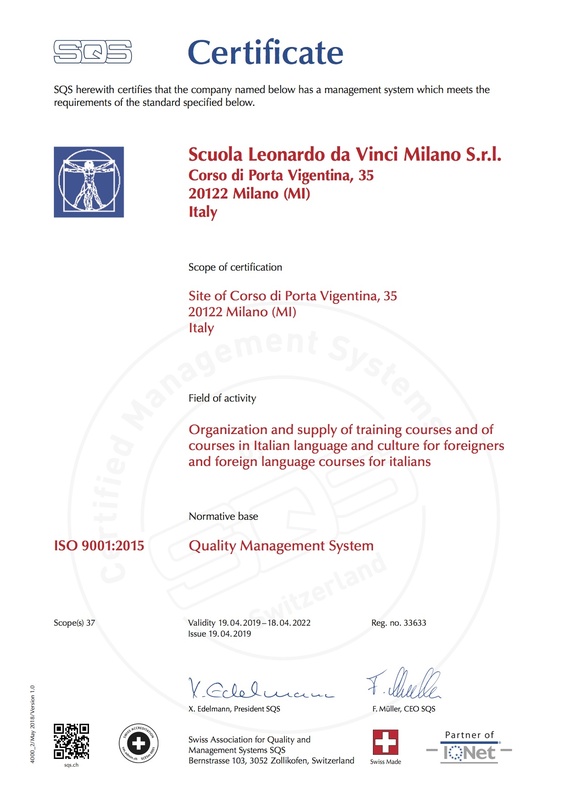 It is one more example of our commitment to excellence. 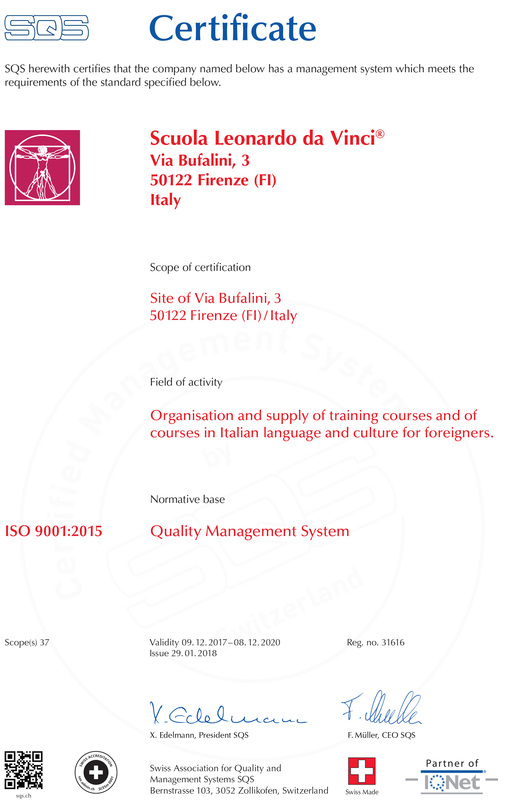 International Standards for Quality Management Systems ISO 9001:2015 is a set of standards for quality management systems that is accepted around the world. 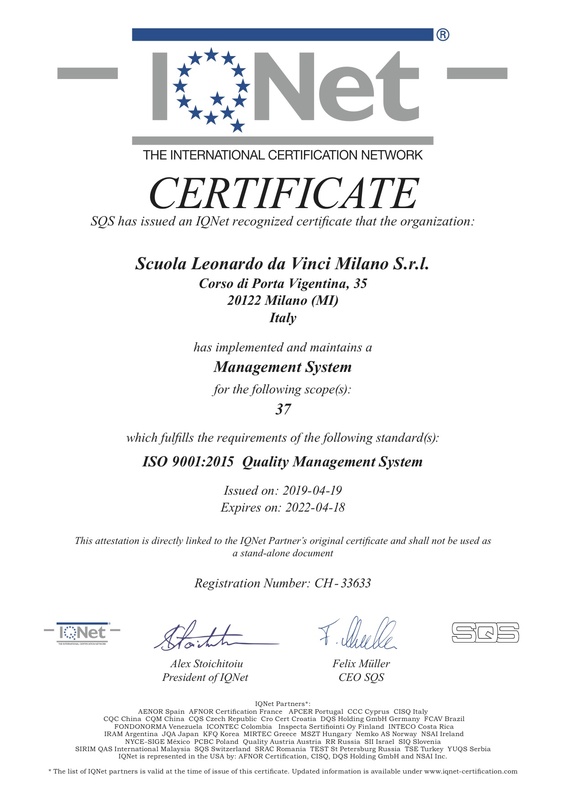 Currently more than 90 countries have adopted ISO 9001:2015 as national standards. 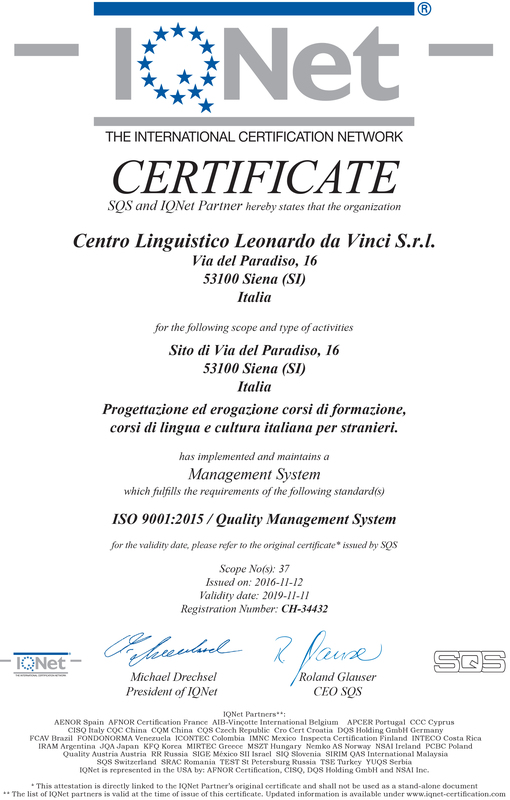 When you purchase a service from our organization that is registered to the appropriate ISO 9001:2015 standard, you have important assurances that the quality of what you receive will be as you expect.